A number of individuals and organisations have been recognised for their contribution and achievements across the retirement living sector at the Property Council’s National Retirement Living Awards in Canberra. Awards for innovation and excellence in the retirement living sector were presented at Parliament House on 29 November. (Source: Retirement Living Council Facebook). Awards for innovation and excellence were presented in seven categories at the gala ceremony, held at Parliament House in Canberra on 29 November. 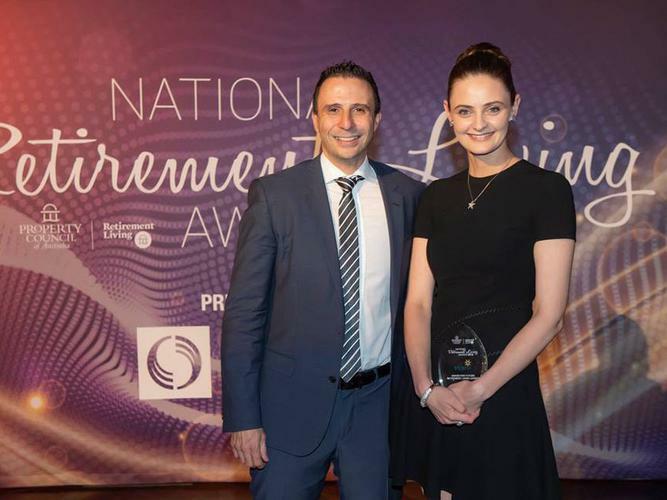 Property Council of Australia Executive Director, Retirement Living Ben Myers says the awards celebrate exceptional people and projects across the sector. “These high achievers and exemplary projects are setting new standards and contributing to all working towards ensuring retirement living residents have an outstanding experience,” Mr Myers says. “While the award categories are diverse, the winners share a great drive to keep residents front and centre in their thinking . Among the winners was the team at Living Choice Woodcroft retirement village, who were awarded the Keeley Green Interior Design Award for Best Refurbishment for transforming a small shed into a luxury leisure centre. The $7 million two-storey leisure centre in Adelaide’s south opened in February this year and includes six new apartments, a theatre, pool and gym, and a number of features to improve energy efficiency and comfort. President of the Residents’ Committee Alice Conway says the leisure centre has enriched the lives of residents. “Residents have great pride in showing their friends and families around and it’s wonderful for the grandkids as they can use the facilities. What’s particularly pleasing is that many older residents have started to come out of their homes and join in too - it’s given them a new lease on life,” she says. Mr Myers says the 2018 PwC/Property Council Retirement Census showed a trend towards higher service offerings in retirement communities. Click here to learn more about this year's winners.